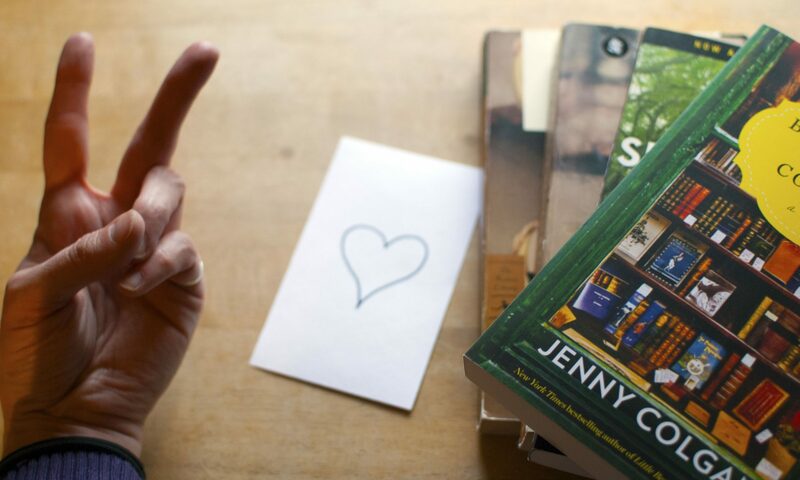 A quirky girl's journey through the world of books. I decided to switch it up for myself this time around and dive straight into a slow burn British thriller. I am equal parts happy and sad about this choice. Ok, first let’s address the big fat elephant in the room that has you drinking all the haterade. Yes, I am occasionally one of those lucky book snobs that gets their hands on advance, pre-publication copies of books. (And now that I see you scrolling back up to take another look at my book picture, I realize that you didn’t catch the fact that this was an advance copy. And I have now outed myself. Dammit). Moving along. I have had my sticky little fingers on this book for over a year now, and have just managed to have a craving for exactly what this book was offering. I told a friend that I refuse to make any sort of “Gone Girl” comparisons with this book because a.) I hate that everyone and their mother compares books to “Gone Girl” now, and b.) “Gone Girl does not have a monopoly on the use of grandiose twists in the storyline. It just doesn’t. When I first finished this book, I was thoroughly shocked by the epilogue ending. 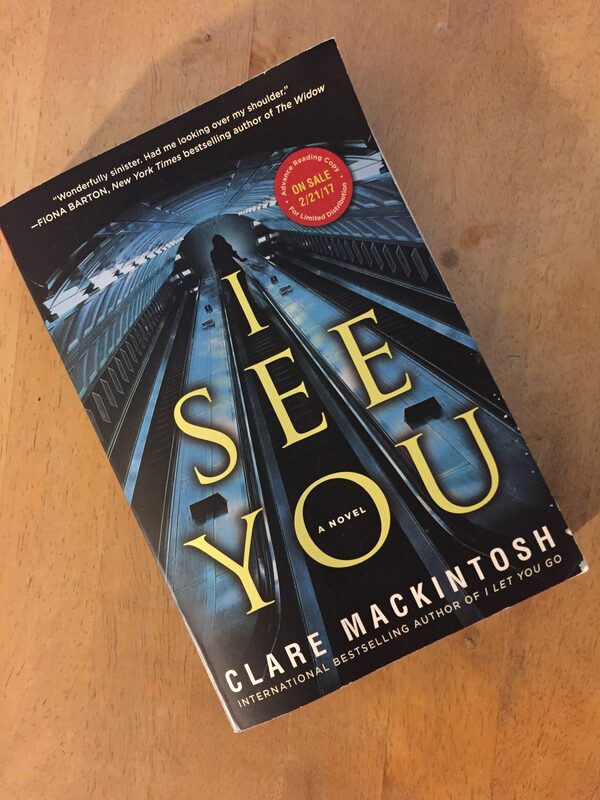 Shocked to the point where I really began to wonder what kinds of disturbances Clare Mackintosh may suffer from that allowed her to dream up such a close for her book. And then I started thinking about how I could ever discuss this book without revealing the ending and therefore ruining the whole thing for you. But after taking a day to think things over, and after getting monumentally perturbed that there is no good way to say “here’s that thing that happened in the ending that was really surprising and left me somewhat completely horrified about every person I know and allow into my life”, without immediately having to follow it with “sorry I completely ruined every part of this book for you just so that I could talk about the thing”, I realized that that ending was the only thing that I really took away from the book. After a day of sitting and pondering over the plot and the characters, nothing stayed fresh in my mind but that page and a half. And that left me very disappointed. I wanted to keep my book discussions just that…discussions, and not reviews of what I had read. But that’s what my feelings on this book have slowly devolved into; a very clinical breakdown of the things I did and did not like. A greater portion of this book fell into the category of things I did not like. I said before that this was a slow burn British thriller. Sometimes I am a fan of this approach, and sometimes it literally makes me want to punch myself in the face. This is very much the latter. The premise is fantastic; a woman named Zoe sees a photo of herself in the classifieds of the newspaper and she learns that this has happened to other women…other women who have become the victims of increasingly violent crime. Yay! I want to read this thriller because I can already feel the onslaught of rampant paranoia. Where do I sign up?! But then the story becomes an actual snoozefest. I don’t care about Zoe’s family. I could give two shits about her fairly whiny kids and her boring as hell male suitor. Please give me something to be scared about, that’s why I’m reading this!!! And then, I get dropped back in to a few more twists and turns in the investigation. Sweet. I like where this is going. Annnnnd we’re back to snoozefest. I cannot handle these ups and downs. Please stop, I’m starting to get nauseous. Ok, so here’s where I am going to break my pact with you just a little bit. In a minor spoiler, I’m going to let you know that Clare tries to recover everything at the end by hitting you with a 1-2…..3 punch. You are red-herringed in a pretty obvious way. (I say that now as if I didn’t completely fall for it), and then she reveals the true mastermind. It’s a bit of…no it’s a lot of wayyyyy out of left field. Like really? That’s who you decided would be the person? I’m pretty sure NONE of your breadcrumbs pointed in that direction. But whatever, I’m willing to suspend disbelief and let the author take me where she feels this story is going. And then she smashed me in the face with the gross feelies in that epilogue. Seriously Clare? I have to start being paranoid about everyone ever? SERIOUSLY??? Not the way that I like to feel at the end of a relatively boring journey. It’s like having “Murder, She Wrote” lead you straight to the killer from “Seven”. It just does not sit well. At all. But it ends up being all you can think about later. Maybe “Gone Girl” really has ruined me for this genre. Or maybe publishers are just having their authors come up with the most off-the-wall scenarios their little brains can dream up as a way to stay in the thick of it all and keep audiences happy. There are millions of possible reasons why this story happened the way that it did…I just really wish someone had thought better of allowing it to remain that way. Not one of my favorite reading moments, loves….but sometimes you have to take in a lot of bad stories to get to the golden ones. Luckily, it hasn’t made me shy away from the genre…oh no…I grabbed a couple more from the library in hopes that one of those will erase this experience and replace it with something much better. Scare up a copy of any one of these and join me for the ride! To add to your queue of bizarre British suspense novels, I recommend The Straw Men (and its sequels) by Michael Marshall. He’s also got The Intruders, which was turned into a (supposedly mediocre) BBC America series. I cannot go a day without reading; it is my passion and my first love. For this reason, and so many others, I decided to create this site. I hope it becomes a place where book lovers like me can share our love of all things literary.